All these pictures were taken on Monday 28th December 1998 after his third ride. Tejsvi or Indi as he is known was started on the 26th December 1998. 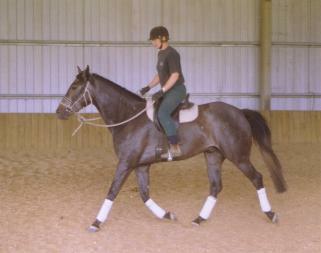 He is starting well, going forward in walk trot and canter. 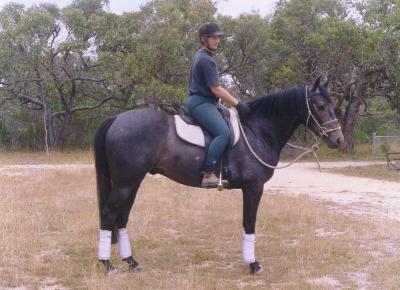 A 16hh first cross Andalusian horse Indi was bred at Mira Mar Andalusians, Bells Beach Australia. 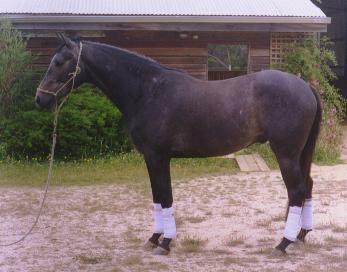 Young Indi has been sold and is now sunning himself in far north New South Wales. We wish Di the most fun on him.